In this adventure packed combo, you’ve got to earn your downtime at camp. 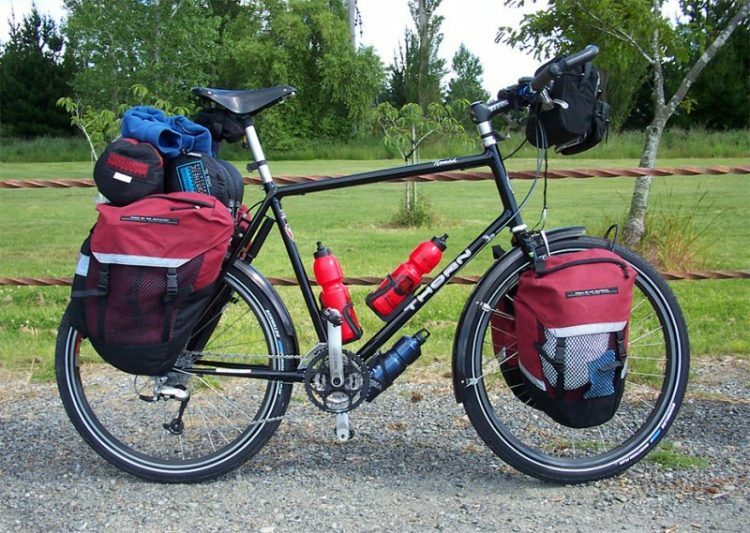 With no gas-filled machine getting you from campsite to campsite, bike camping (or bike touring) is a start-to-finish testament of endurance, preplanning, and the strength it takes to push through the uphills with 30 pounds of camping gear around your back tire. Bike camping forgoes the comforts and leisure that car camping provides, making planning, orienteering, and skills a high commodity. There’s no sugar coating it- bike camping is a physically demanding task, but once you get out there and try it- it can turn out to be the most rewarding. In most camping scenarios, the relaxation, slowing down, and enjoying the outdoors is on hold until you find your spot for the night. With bike camping, the journey adds just as much exploration and adventure to the trip as the destinations do. Here is a short list of tips and must-pack items to make your first bike camping trip one to remember fondly. Know how to be your own repair crew. Gear is not limited to the food, tent, and clothes you brought. 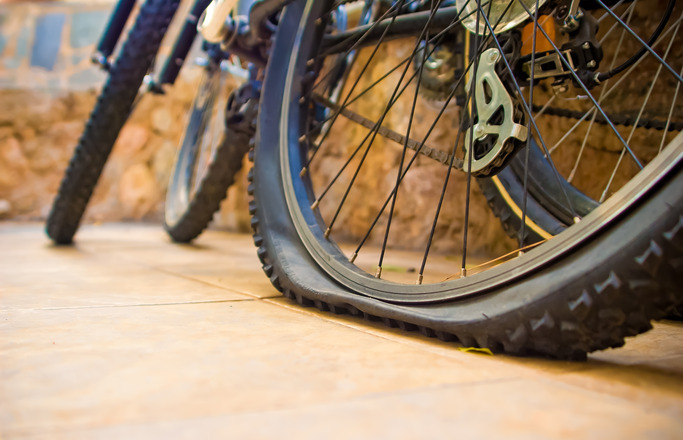 The bike itself is the most integral part to the journey and if something needs and adjustment or a tire goes flat, you better know how to jump in and get things rolling again. The idea for a trip like this is to travel as many miles as yourself or your group feel comfortable during the day and have a planned or at least ideal spot in mind where you have flat ground to lay in your tent or under a tarp at night. During those long stretches in the daytime, you won’t likely be in a populated area with impeccable cell service and the bike version of AAA. Knowing how to take care of your bike is just as if not more important than understanding how to set up a tent. Plan a course within your means. If you aren’t a well-practiced biker, don’t plan to bike 25 miles a day with uphills that are too steep or trail sections that are too advanced. If a car can access the areas you’re wanting to bike, it might be worth the trip to check out what type of terrain you’re in for before you start pedaling. If you want to experience the area for the first time by bike so you don’t spoil the experience by seeing it all by car, the internet just might be your best friend in that case. You can look up tried and true beginner friendly trails and roads recommended by others who were once in your same situation- looking for where to start. Pack light. Then pack even lighter. It’s an art form in itself and for those who are experienced in backpacking, you should aim for about the same weight you’d put on your back. It’s a delicate balance of food being lightweight and packed efficiently so you still have room for your tent, sleeping bag, clothes, and all the rest. When sweat starts dripping and your calves start burning, you will regret bringing anything beyond what is absolutely necessary. By planning ahead, you may find that while most of your journey is remote, you come across a general store half way. Then, at departure you are only having to carry meals for half the days until you reach that store where you can replenish. Water, a map, rear bike rack, repair tools, tent, sunscreen, lighter, anti-chafing cream (trust me), clothes, food, first aid, and a good dose of patience! For a recap of a family’s first 5 day bike camping trip, more on what to bring, how to stay entertained, good spots for it, and additional resources, go check out “Bike Camping for Beginners” by Ethan Hipple.